Restore shine and luster with the Rejuvenate 32 oz. 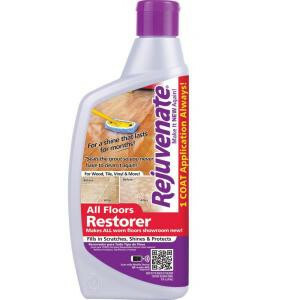 Floor Restorer and Protectant. The polymer-based floor finish will help bring life back into most kitchen, bathroom and paneling surfaces. The UV Ray Barrier will help protect your floors from the damaging effects of UV rays.